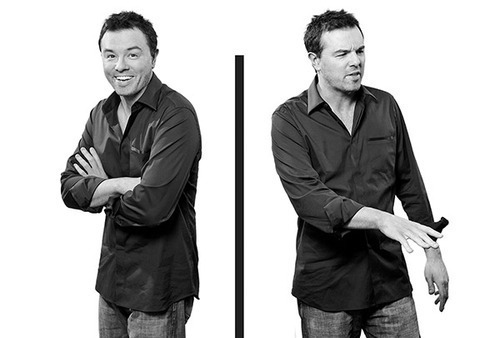 Seth MacFarlane. Two Seths is better than one, which is saying A LOT.. Wallpaper and background images in the Seth MacFarlane club tagged: seth macfarlane black and white. Two Seths is better than one, which is saying A LOT. This Seth MacFarlane photo contains well dressed person, suit, pants suit, pantsuit, and business suit. There might also be outerwear, overclothes, box coat, and slacks.